Plain white and brown single wall paper cups. Your logo on our cups? Go to our Brand It page and find the best price online! Paper Cups printed with your logo! Sleeves printed with your logo! 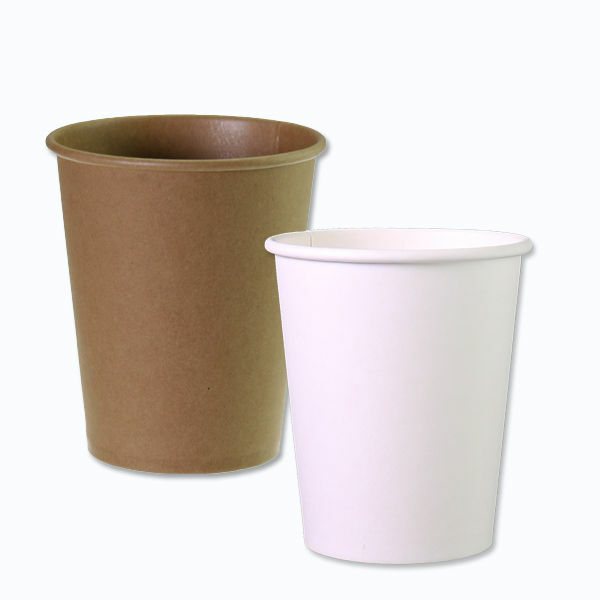 Paper Cups Nature Kraft printed with your logo!